Injuries on the job can happen to anyone, at anytime, and anywhere. The Coye Law Firm has years of experience in the field of workers' compensation. The amount can vary based on the date of your accident because Florida law has changed over the years. 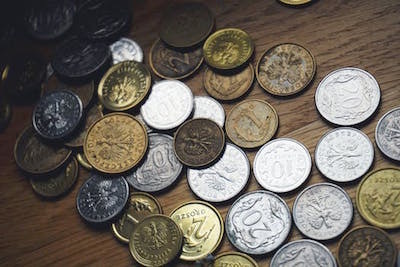 There may also be specific situations where the employer of the injured worker or the insurance company may be ordered to repay the attorney fees for the claim as well as medical expenses or lost wages. Our attorneys are very experienced in workers' compensation claims and are dedicated to fighting for justice for people with work injuries. If you have been hurt at work, or are in dispute with a worker’s comp claim, please contact one of our Florida worker’s comp attorneys today for a free consultation. How Much Does a Lawyer Cost for a Worker’s Comp claim? Because the Coye Law Firm is dedicated to justice, we work hard within the limits of the law to provide the best legal representation for every worker's compensation claim. People injured on the job deserve it. The amount a lawyer may charge for representing a worker's comp claim can vary based on the date of your accident because the past law statutes ascribed different percentages to allowable amounts, and only a thorough evaluation by a worker’s comp attorney can pinpoint a specific amount for your case. We take workers' comp cases on a contingency basis. The experienced worker’s comp attorneys at the Coye Law Firm are committed to fighting for justice, no matter the amount of the claim and believe that all people who are injured at work deserve legal representation to assist with their claim. If you have been injured at work the worker’s compensation claims process can seem overwhelming, especially for people who are dealing with juggling medical care and potential re-employment options as well as attempting to navigate the claim for their work injury. There are many benefits to contacting a Florida worker’s comp attorney with experience and knowledge of the process, including knowing the specifics of the laws regarding attorney’s fees. If you’ve suffered from an injury at work, please contact the Coye Law Firm today for a free consultation. We may be able to help you understand your rights in the worker’s compensation claim process. Struggling with the Workers' Comp Process? 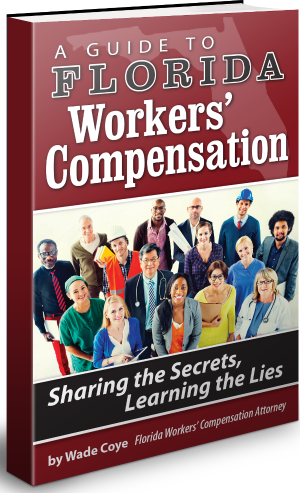 Request a FREE copy of my workers' compensation book, Sharing the Secrets, Learning the Lies: A Guide to Florida Workers' Compensation and you will be squared away in no time. Request Sharing the Secrets, Learning the Lies: A Guide to Florida Workers' Compensation today and receive your free copy in 3 - 5 business days. Click here to request your FREE workers' comp book today!